Boxee is making its biggest push yet to get into your family room with its new Boxee TV device appearing in over 3,000 Walmart stores starting today. The Boxee TV is about more than just streaming media, it's about being an all-in-one cord cutting solution. 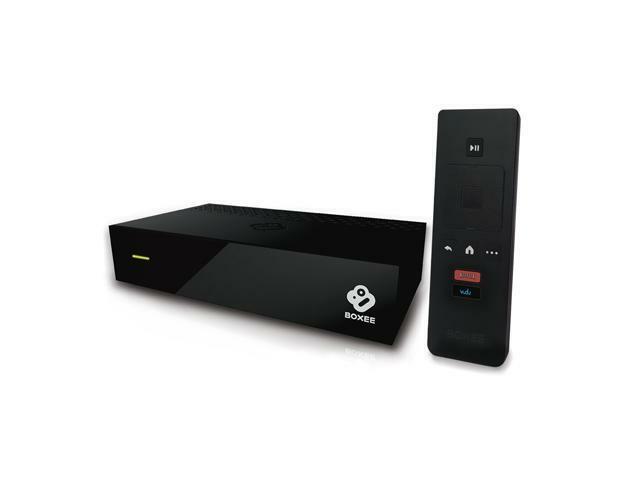 Beyond bringing services like Netflix and Vudu to your TV, the Boxee TV also features an HD antenna for receiving over-the-air broadcasts, and a "no limits" cloud-based DVR service for $14.99 a month. The bonus on the DVR side of things is that you will be able to access what you've recorded not only on your TV, but also computers, tablets and smartphones. Boxee TV will cost you $99.99, which isn't all that bad for the added features, but to make the purchase that much more alluring, several offers are included in the box. Still, if you're interested in a new streaming media solution, and you want some perks to go along with it, this one is pretty enticing.